MommyMaestra Holidays (#MMHolidays) are here! So I'm kicking off things a little early because I have a few giveaways that I do not want to run all together and I know that many of you will be shopping this coming weekend! Maybe you can mark this one off your list? If you are looking for ideas for educational products to gift to your children this holiday season, I have already put together a fabulous (FREE!) Holiday Gift Guide filled with lots of great products. But in addition to the guide, I'll be sharing reviews of other fun and educational products (not featured in the guide) plus a few giveaways, too! First up is the Showcam by Playskool. What makes this little digital camera so special is that it is also a projector, displaying the fabulous pictures your child has taken onto a wall or screen. Your child can also have fun chooing from more than 50 silly effects to dress up their photos. My 7-year-old son loved taking pictures of us wearing crowns, hats, and more. He even begged us to take photos of him after he chose what designs to add to the photo. 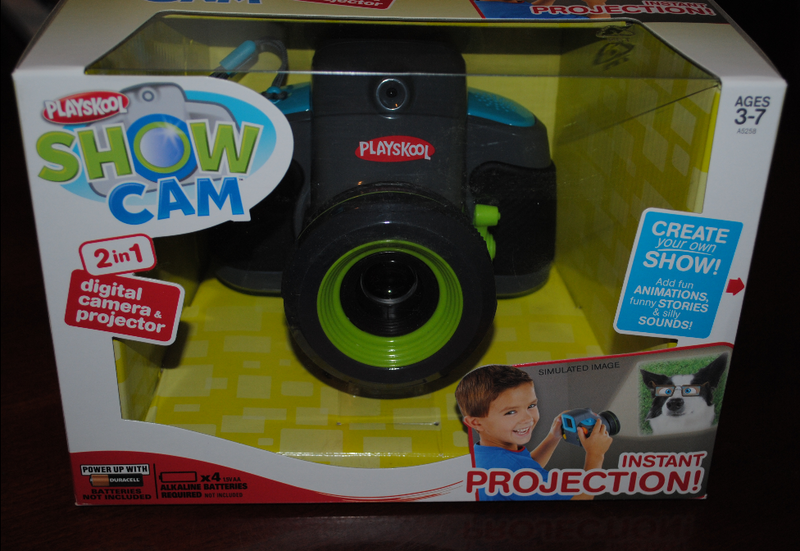 The buttons and levers on the camera are all large and colorful, perfect for little fingers. This camera is really designed for younger children - I would say the best age range is 3 to 7 years old. 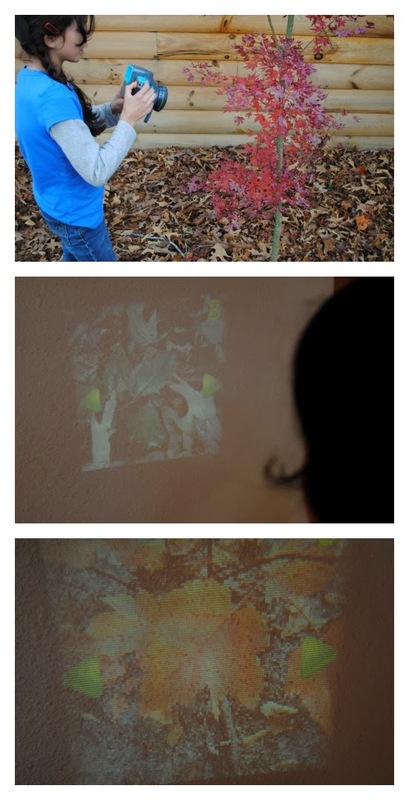 However, I also used it with my 9 yo by giving her an assignment to go around and take pictures of different leaves, then come back and give me a report while projecting the photos she took onto the wall. 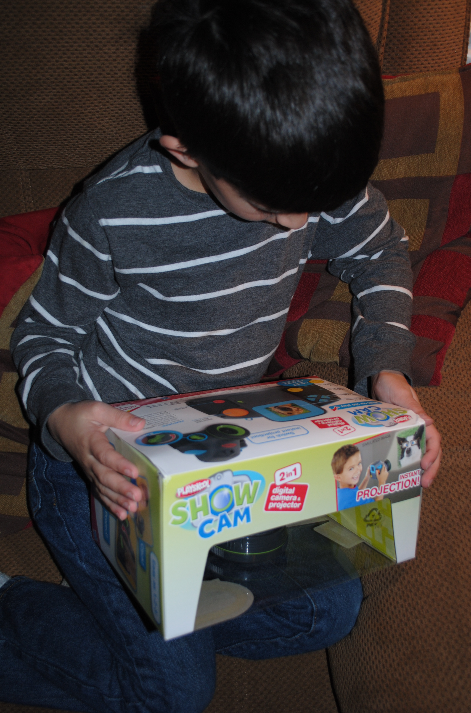 The Showcam is a great way to nurture your child's inner photographer and encourages him to look closely at his environment. You can make it more educational by assigning a presentation like I did with my 9 year old, and then sending them out to collect images for it. My 4 year old would love this! Thank you for the opportunity! ¡Gracias por la oportunidad a ganar! oh this would be great to give to my 5 year old and 3 year old. thanks for the chance. they like to take pictures and these would be great. What a great way to capture the images that interest them (my children). This is a great gift for my 6 year old son. The up and coming photographer of his generation! This is on our list this holiday season as a gift for our soon-to-be 3 year old son who loves taking pics with my phone! What a fun toy. My bunch of kids would have a great time with it! This looks great, what a fun toy:)!! Looks cool! This would be great for my son and my students. We could create great speaking prompts. Gracias por la Oportunidad!! Seria Un hermoso regalo para mi nene de 2 años, me encanto!! I would like to be the winner, will be to give away at Christmas. what and awesome toy! definitely a hot toy this year! Would love to win this for my little guy! Thanks for the great give-away! I think this is awesome! My kids would all love it, but especially my 4 year old! Would be great for my boy Jack! My 5 year old twins would love this!